Our new 5670 is an XL version of our 5580 room chair and adds all the benefits of the urethane arm chair with a wider seat and higher weight capacity. 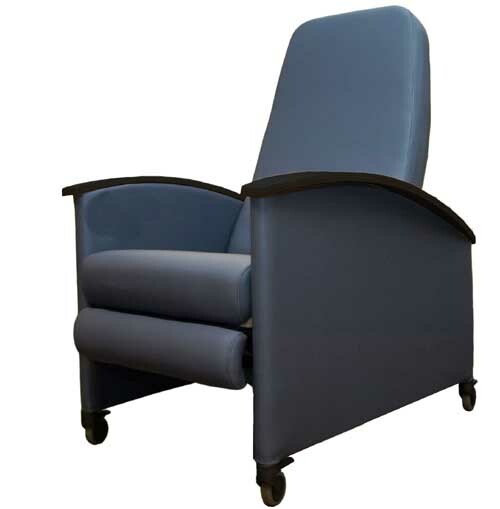 The XL version retains the beauty and practicality of the urethane arm chair yet accomodates larger patients with dignity and unmatched comfort. 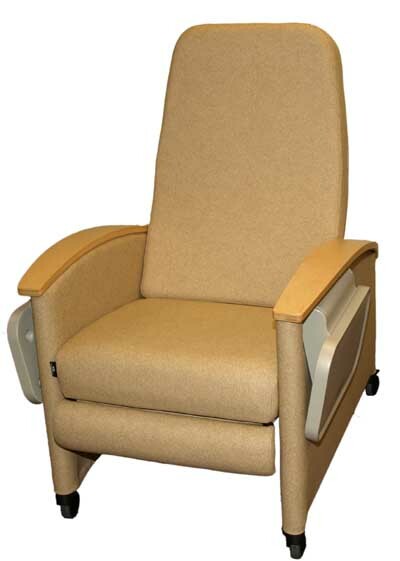 Suitable for patient rooms as companion chairs, in waiting areas, in the home environment or anywhere chair a higher style comfortable and durable chair is desired. Model 5670 is a 3-position recliner. The Model 5670 is available with dual side tables and fixed feet in place of the casters. Standard black armrests are made of soft, durable urethane or choose from available armrest options in two different widths of beautiful contoured wood arms. The wood arms are available in warm shades of honey or walnut to complement the vinyl color or room decor as desired. These Winco recliners feature the function, durability, cleanability and most of all the unmatched comfort you have come to expect from Winco in a beautiful look and design you'll be proud to place anywhere, including your living room. Our popular and stylish urethane arm recliners are available in a version suitable for patient rooms as companion chairs, in waiting areas, in the home environment or anywhere a higher style comfortable and durable chair is desired. Model 5580 is a 3-position recliner without the locking bar feature. 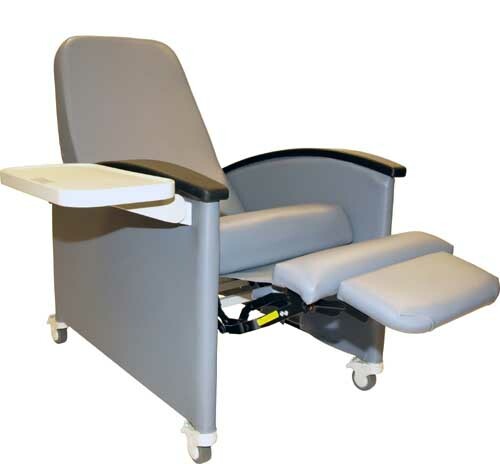 The Model 5580 is available with dual side tables and fixed feet in place of the casters. Standard black armrests are made of soft, durable urethane or choose from available armrest options in two different widths of beautiful contoured wood arms. The wood arms are available in warm shades of honey or walnut to complement the vinyl color or room decor as desired. Shown in Silvertex Vinyl color code-80 Sapphire Blue with Honey wide style wood arms and Wood table option. Also shown in Tumeric vinyl code 26 with Walnut wood arm option and in Gypsum vinyl code 61 with Honey wide wood arms and blow-molded side tray options. If fixed pedestal feet are desired rather than casters, order model 5584.